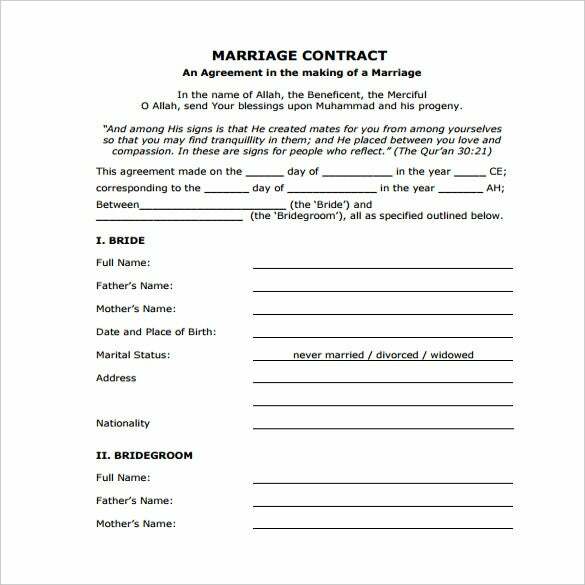 There is still some couples that have their wedding contract be completed before the ceremony in church, in Wedding Certificate Templates to be able to plan properly and lay down their demands or responsibilities in their relationship for a long time. They can use this in Microsoft word, excel or pdf file to make it easier for them to utilize the template. You may also see Contract Templates. 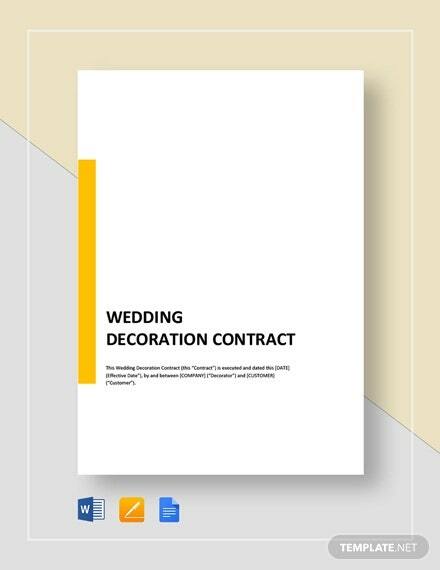 Any rules or terms they want to have can be written down in the Wedding Templates, so they would know how they should be in their marriage as husband and wife, to show their sincerity to their pledge and how settled they are in their love to each other. 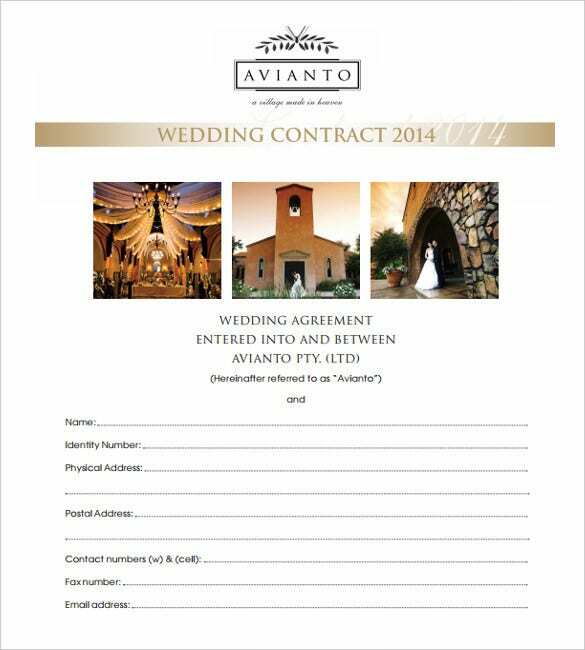 avianto.co.za As many couples decide to have a clearly written contract before their marriage, they often go to a third party for preparing the contract papers. Thereby wasting valuable time and incurring expenses. Instead, the best idea is to download the print ready samples from the link given below for free. portlandporcupine.com Although there are a wide range of commonalities in wedding contracts, some couples prefer to have their own set of terms. 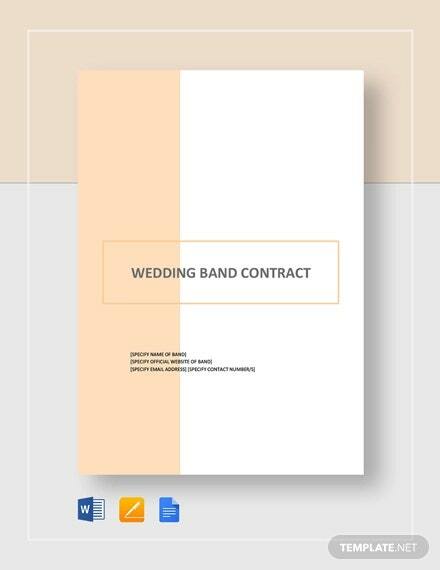 In such cases, this sample contract paper is very handy. They come with nice themes and are editable as per necessity. Click on the link below to download them for free. Many marriage union fail to last long as the differences between the couples tend to widen up with time. This unacceptable scenario arises since there is no specified contract on which they have agreed before getting united. The best way to avoid such woeful scenario is to have a nicely written contract. One always has the option of clearly knowing the better-half and accept the person as a life partner. 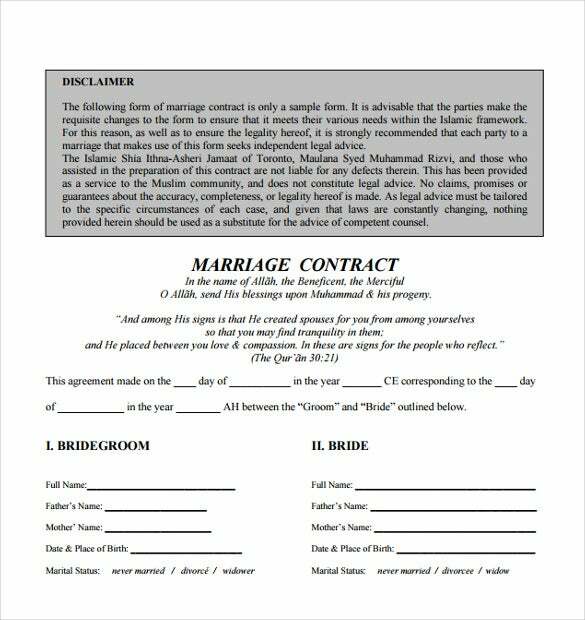 In the case of any negative eventuality, or there is a probable divorce coming its way, the contract can be cited and placed before the court. 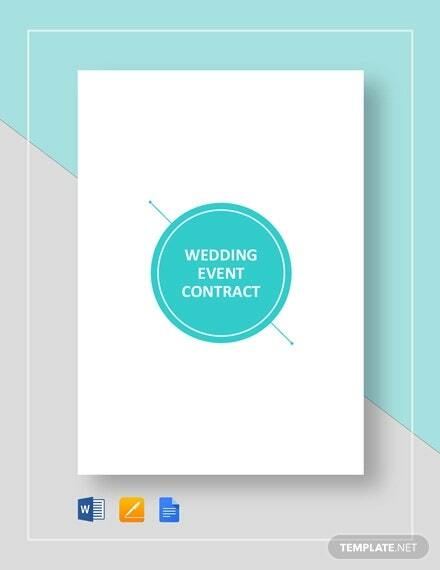 > Who can use Sample Wedding Contracts? 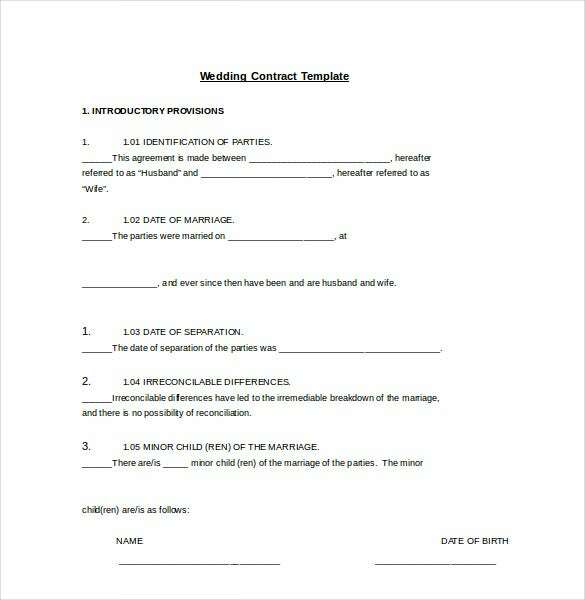 Smart couples who want their union to last long, must make use of this wedding contract templates. The contract clearly specifies the common platforms on which both of them agrees. It is nothing but just an informal paperwork. These days, often we come across relations giving way when one cannot bear with the other’s habit and practices. 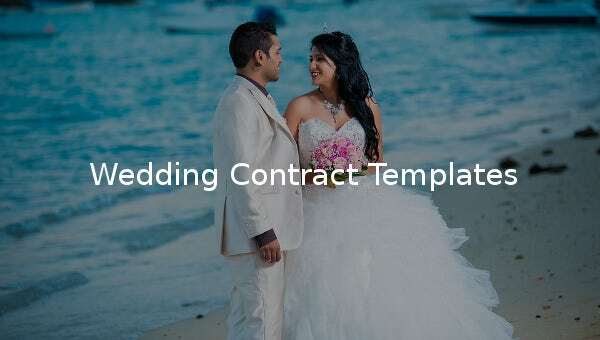 With these templates, such a possibility can be avoided as beforehand one has an option of agreeing to the terms and moving ahead. 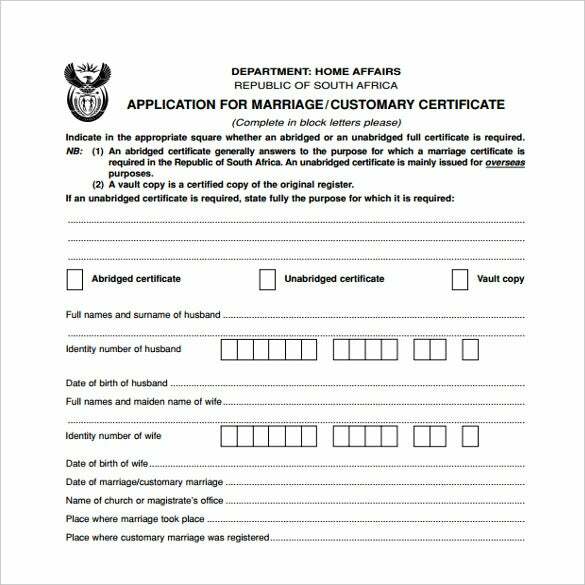 People who wants to get separated, can use the sample wedding contracts too, as they can be cited before law as and when needed. 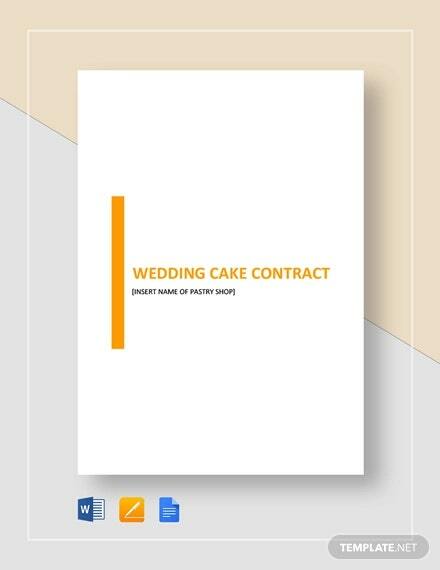 The sample wedding templates are highly beneficial as they nip the chances of ‘after marriage complaints’ in the bud itself. With nicely drafted formats and clearly specified clauses, one always has the option of evaluating the future of the union beforehand itself. In fact, only after going through the clauses, one has to give his final nod through his signature. 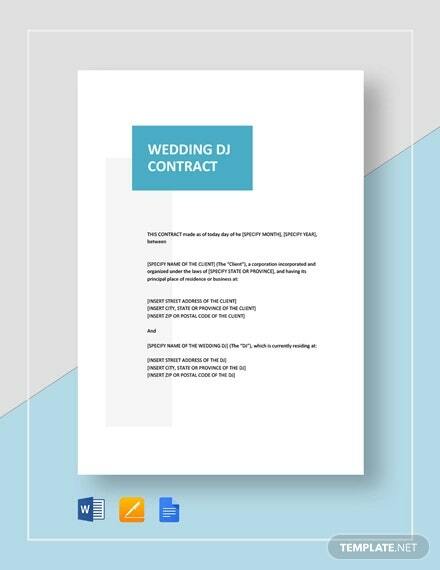 Thus in a way, these wedding contract templates act as a safety valve for marriages. In case of disputes too, the contract is beneficial. If one his upset with his partner for not maintaining the clauses, he or she can move to the court and cite the clauses. 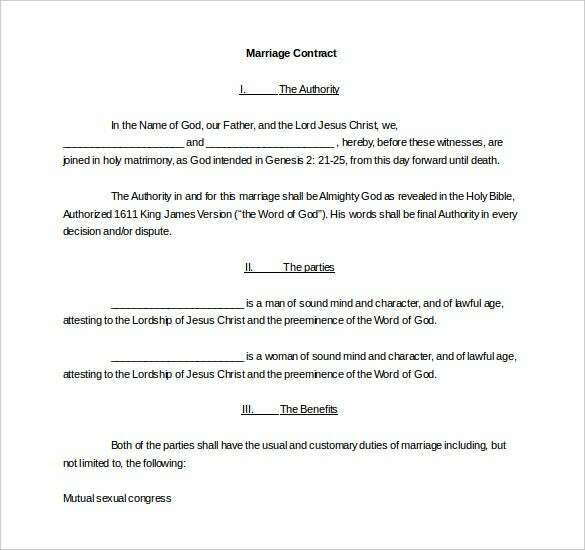 To ensure a nice healthy union a couple must have a wedding contract. 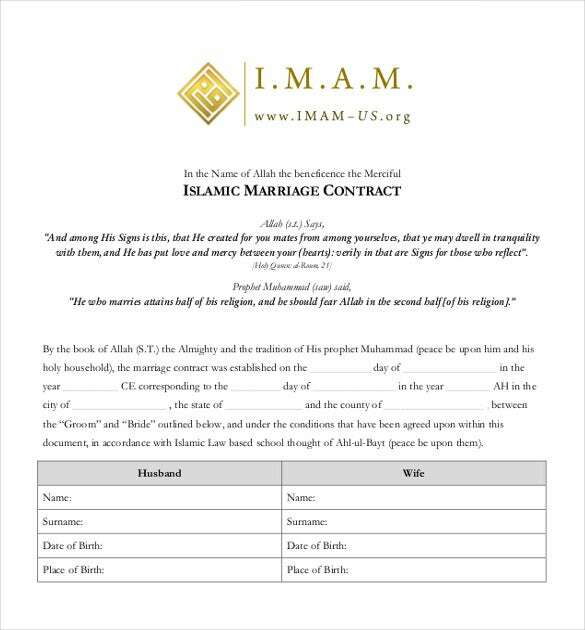 The free samples available over the net perfectly fits the bill when you decide to have a clearly written contract between you and your partner. The nice thing about them is that they are available for free and you don’t need to rely on third party to get this done.